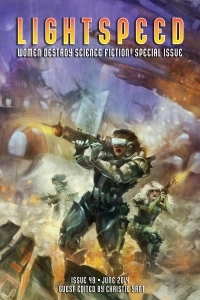 I am very excited about Lightspeed Magazine’s special June issue: Women Destroy Science Fiction! “It could be said that women invented science fiction; after all, Mary Shelley’s Frankenstein is considered by many to be the first science fiction novel. Yet some readers seem to have this funny idea that women don’t, or can’t, write science fiction. Some have even gone so far as to accuse women of destroying science fiction with their girl cooties. 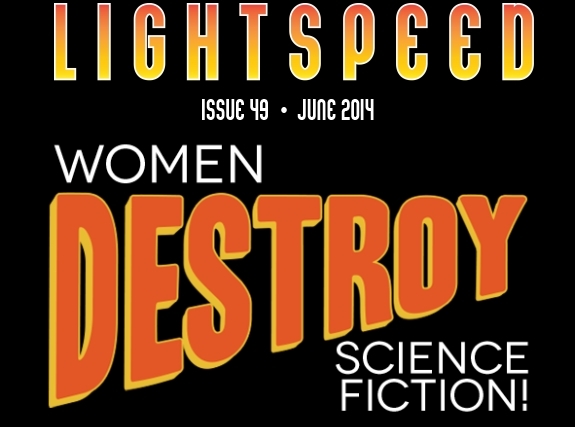 So to help prove how silly that notion is, LIGHTSPEED’s June 2014 issue is a Women Destroy Science Fiction! special issue and has a guest editor at the helm. Read the complete table of contents here.